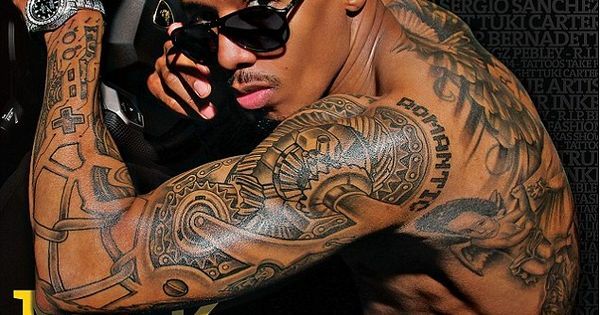 Nick Cannon has massive tattoos on his body, covering his entire back and both of his arms. 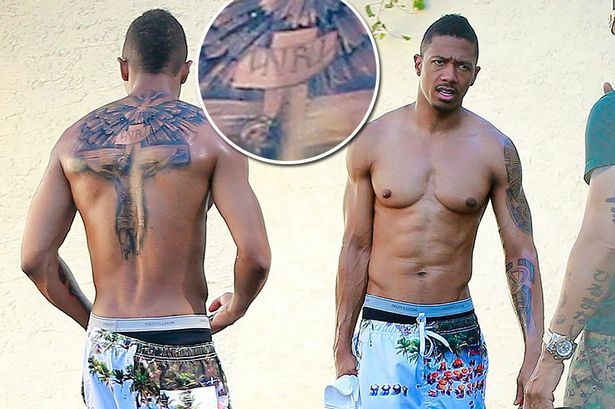 Nick Cannon’s tattoo on his back used to be just Mariah Carey’s name, but we know how that marriage ended up so he got another back tattoo instead. Getting tattoos takes so many hours depending on the size, so you can imagine how many hours Nick had to sit still for all of his tattoos to get done. Nick got this huge Mariah tattoo on his back for his then wife. 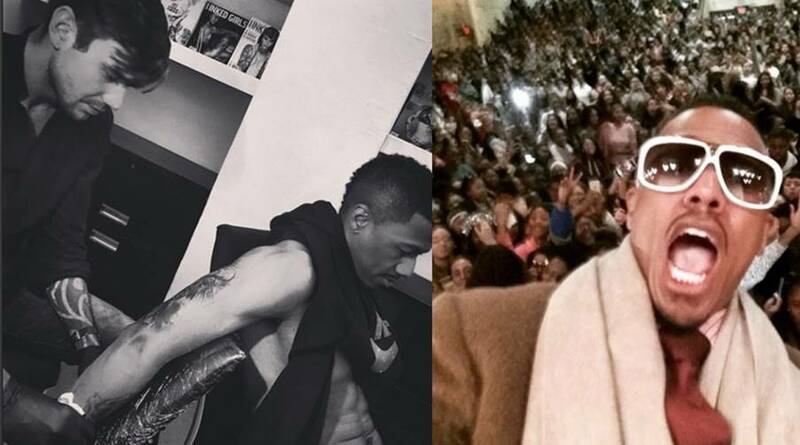 It covered the entire upper portion just below his nape and he proudly showed it off to the public. But 6 years of marriage ended up in divorce so the Mariah tattoo got replaced by Jesus on the crucifix. In this photo the back tattoo was just started. 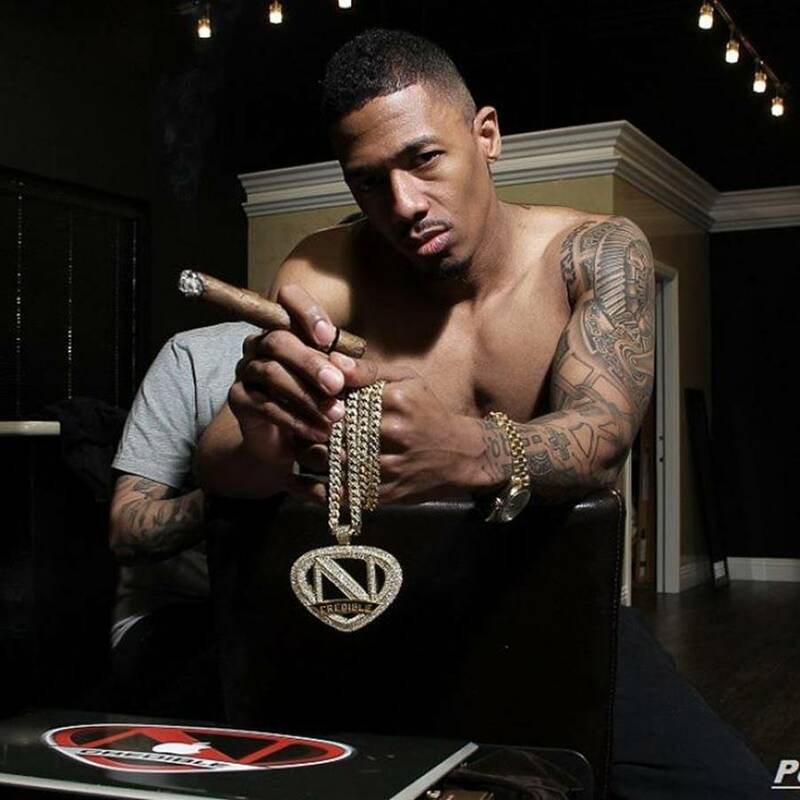 Nick Cannon’s tattoo reportedly took 30 hours to complete. It covered his entire back. The two cherubs on either side of the cross are tributes to his twins Moroccan and Monroe. This was another session for his back tattoo. It could not be completed in one sitting so he had to come back for his artist to finish the job. This is the finished work. Gone was the Mariah tattoo. 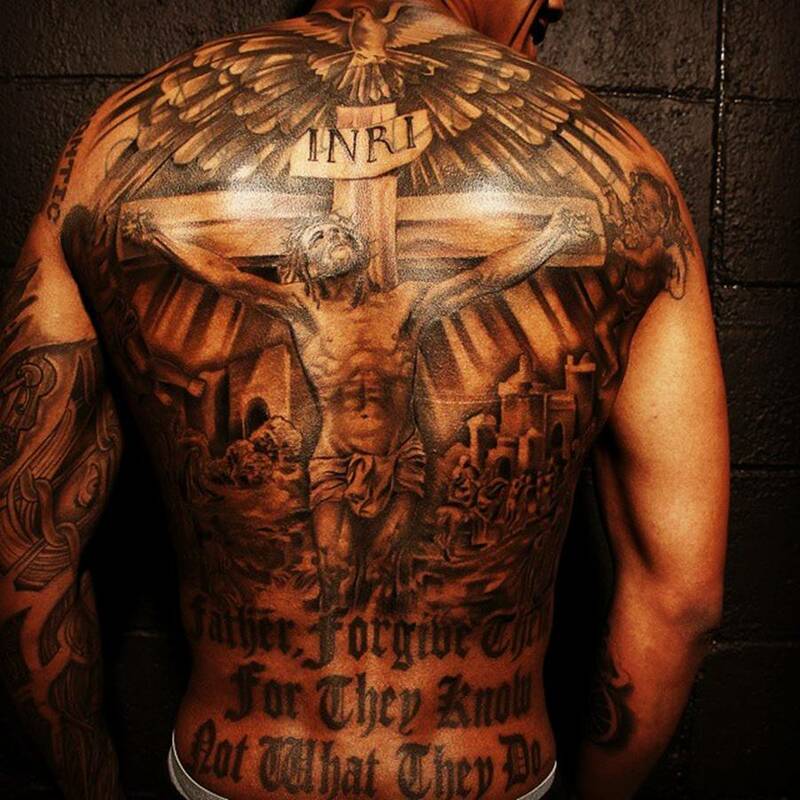 The big crucifix and his twins now dominate his back. He added “Father, forgive them for they know not what they do” at the bottom. A tattoo of a long haired man holding a bloody heart sits on his right triceps. He got inked by tattoo artist Dimitry Vision. His left arm sleeve tattoo has a cyborg theme. And just under the arm are the words South East. A close up of his left arm sleeve tattoo. Romantic sits on top of his shoulder, which is a little off the theme of the whole arm tattoo. 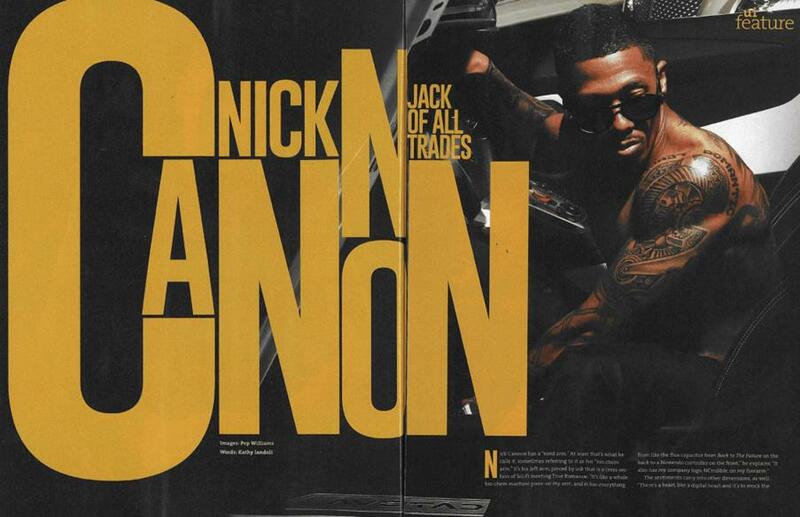 He got his own Urban Ink magazine cover and he talked about his tattoos and what they meant to him in the spread. Underneath his left arm is an Ncredible tattoo, his trademark name and logo for himself. In this photo his arm sleeve tattoo was not yet complete.